As a great start to the KZN Philharmonic Orchestra’s thrilling 2019 Summer Season, artSMart offers a Valentine’s Competition where one lucky winner can enjoy a romantic musical evening for two at the first concert at the Durban City Hall on Thursday February 14, 2019. 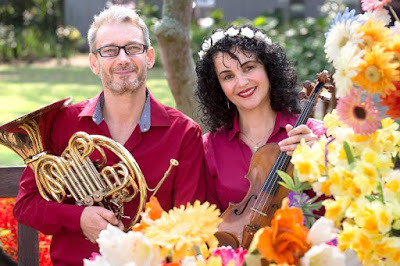 -Two tickets to the KZNPO Valentine’s Day Concert in the Durban City Hall – the opening concert of the 2019 Summer Season. …. And one box of Lindt balls! The winner must collect his/her prize at the Royal Hotel coffee shop reception between 18h00 and 18h30 on February 14, 2019. Email your answer, your name and telephone number to csmart@iafrica.com before the deadline on February 12, 2019, at 17h00.